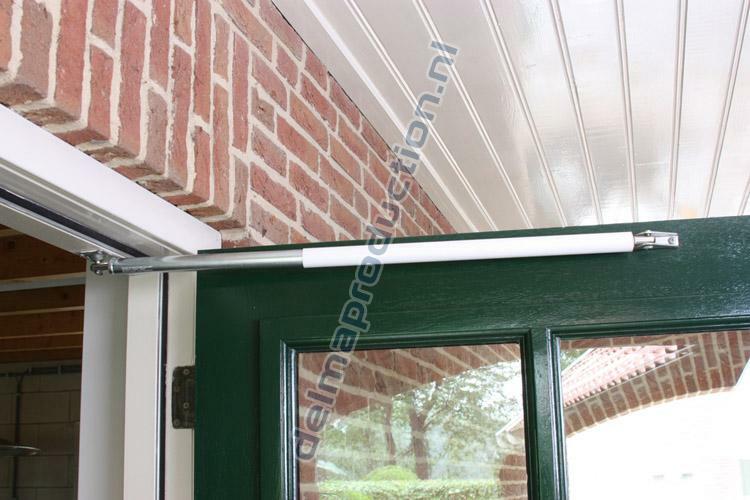 The door damper has been specially developed to prevent doors and frames from opening and slamming shut in storms or strong winds. This prevents a lot of damage to doors and frames, and minimizes the risk of accidents. 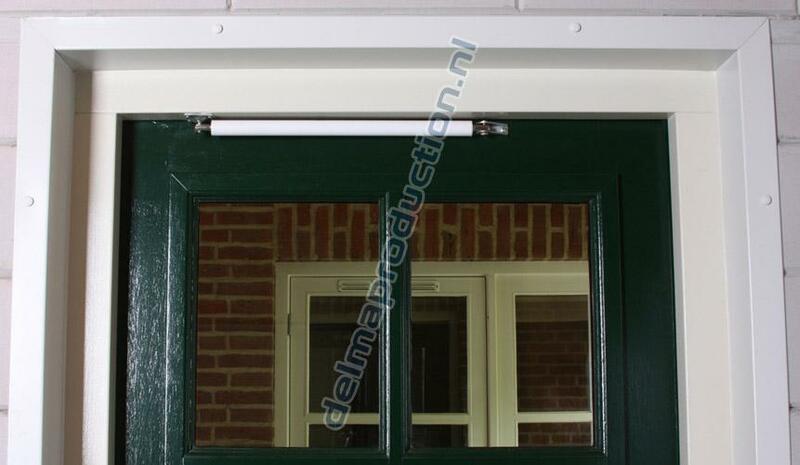 The damper is ideal for garage and back doors and doors where obstacles are placed. In normal weather, the door stays put in any position and this, for example, ensures that the passageway remains unimpeded. 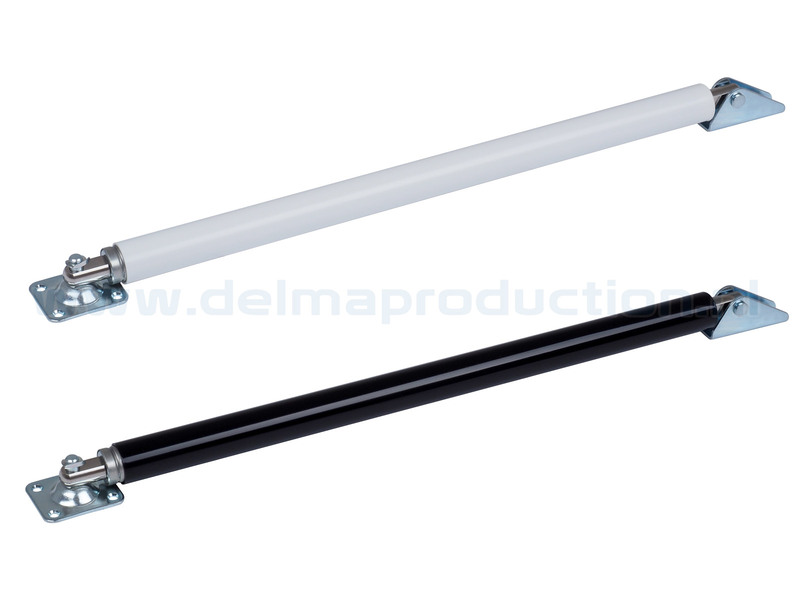 Where the traditional chain or buffer stop fails, the Delma door damper is effective. Never again damage to doors, windows or frames in strong and stormy winds. You no longer have to look at conspicuous obstacles such as wall brackets and buffers, because these are now superfluous. For doors with an opening of maximally 110º. Especially for light and heavy doors (look at schedule). Suitable for plastic, aluminium, glasses, wooden, rectangular and curved doors, among others. The door stays put in any desired position in normal weather. Opening and closing without any extra effort. Dampens more progressively at the end. Provided with maintenance-free attachment and parts.plastic protective tube. Different buffings are available depending on the door weight and size.